Please join us on this fascinating one day architectural tour of the Buffalo area. 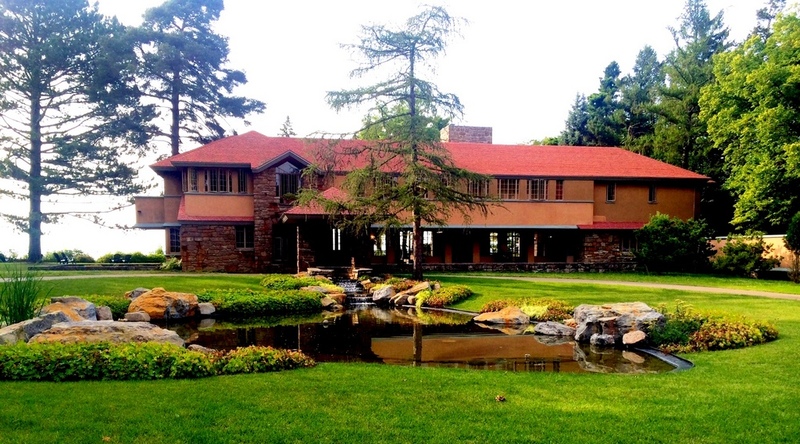 We visit two of Frank Lloyd Wright's famous houses -- the Martin House & Graycliff Estate. We get guided tours of the insides of both houses. If you have ever wondered what the inside of a home designed by a world-famous architect might look like, here is your opportunity. The Globe & Mail newspaper said this about the Martin House: “Worth the drive to Buffalo. There is no time like the present to see it.”. NOTE! This tour involves moderate walking and many stairs. This tour is not recommended for those with mobility issues or those who have difficulty climbing stairs. Comfortable walking shoes are recommended. Round-trip bus transportation on a deluxe highway bus with washroom and WiFi. Stop at Wegman's McKinley for lunch in the market cafe. Lunch on your own. Wonderful gift shops at both houses for FLW themed products. Fully escorted trip with tour director available during the trip. For details about a pickup location, click on it's name below. ​All prices are per person, in Canadian dollars. HST is extra. Even though this is a day trip, emergency medical and trip cancellation insurance is strongly recommended. Getting ill in the USA can be very expensive. If you are not covered by a workplace or other policy, we recommend that you purchase insurance for this trip. 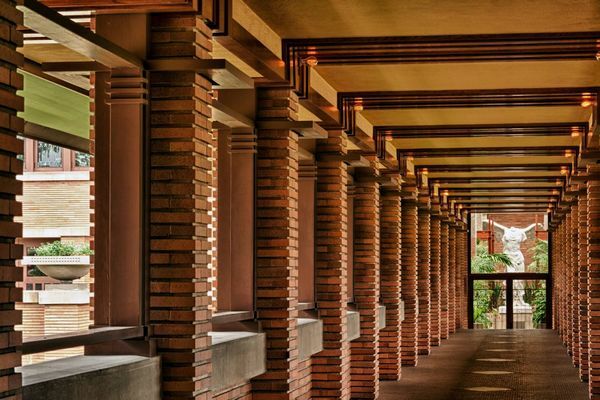 Arguably one of the best works by America’s greatest architect, Frank Lloyd Wright. Constructed between 1903-05, the Martin House complex exemplifies Wright’s early career “Prairie House” ideal. Even Wright himself said this about the Martin House: "the most perfect thing of its kind in the world - a domestic symphony," and referred to it as "the opus" some 50 years after it was built. The Graycliff Estate is set on a cliff 65 feet above Lake Erie with sweeping views of Lake Erie and Canada. Graycliff is comprised of three buildings set within eight scenic acres of gardens and grounds, all designed by Wright. The long, low, horizontal lines of the house complement the lake and the cliff strata. It not only captures the warm summer light and the cool lake breezes, but even in the depths of winter is light, inviting and welcoming.